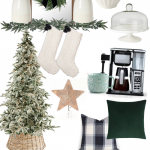 If you’re like me, you’re always looking for ways to spruce up your home for the seasons. 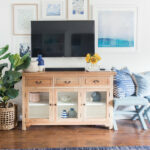 In summer, I like adding pops of color, or things that give a more warm and beachy vibe. In the fall, I like fall decorations that are too over the top, but just enough to feel cozy. 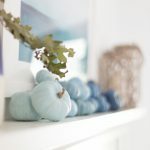 I like utilizing non-traditional colors with traditional fall items like navy painted pumpkins or gold painted leaves. 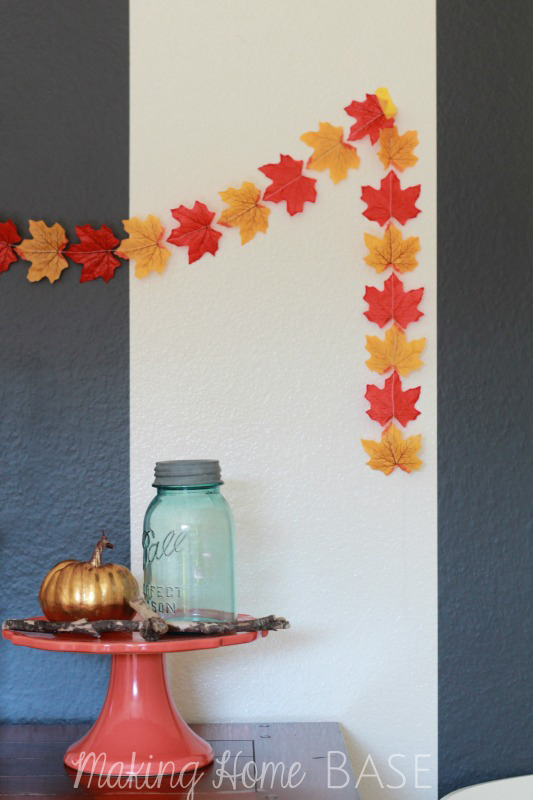 Each year, I like to come up with a few fall decorating ideas to set my home apart and that usually includes some fall crafts like this super easy and fun fall garland. To make this darling little fall decoration you’ll simply sew a bunch of leaves together creating the perfect fall garland. Start by sewing a straight line down the center of your first leaf. Then, push your next leaf through keeping a running seam. 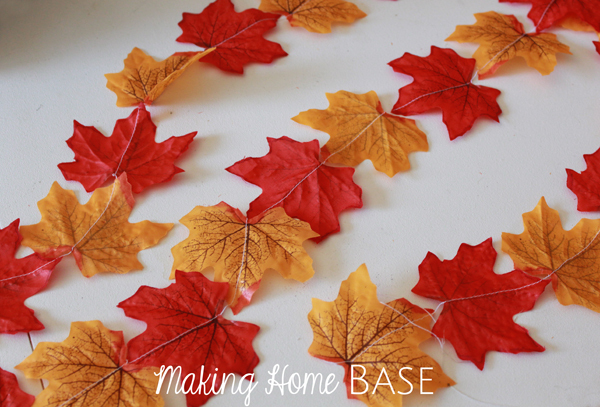 Continue to do that with as many leaves as you would like to create a create a custom fall garland. If you’re hosting any events in the coming months, this fall craft makes the perfect fall decoration for a table or to even hang around your door. Do you have any go-to fall decorating ideas or fall crafts you love? I’ve done some other fall crafts that are equally as lovely. These painted leaves are the best for fall decorations and this fall wreath is another great fall craft. 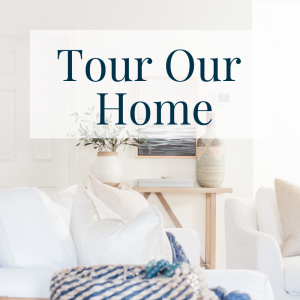 Each year, I share a home tour of my home decorated for the seasons. 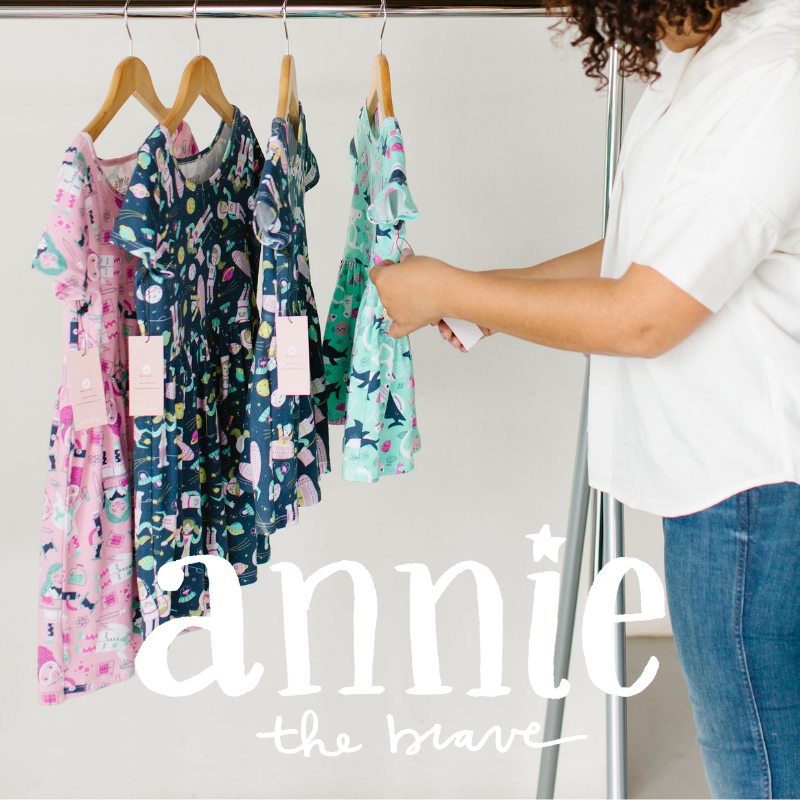 You can also view the most recent tour of my home for fall here. Cute cute!! So simple and classy – who would’ve thought that Dollar Store leaves could be made into something that adorable? Love it. Adorable Chelsea! I never would have thought of something like this! It’s so cute! And simple too! 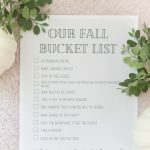 I’m hoping we’re in our “forever town,” but I have a looooooonnng list for our forever home, lol. 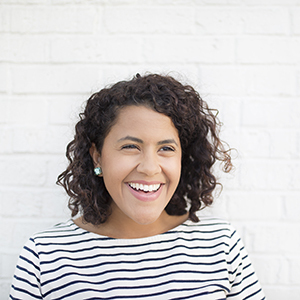 Thanks for sharing, Chelsea! Love this Chelsea! And I agree, I couldn’t handle not having Fall – its the prettiest season! So easy and so cute!! Great idea! 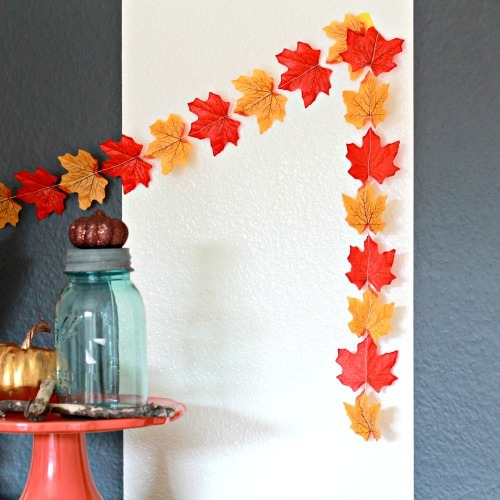 love this fall leaf garland idea. Sewing it together by machine is a great idea. By hand would take to long for me. Looks so pretty. You are so smart, love the simplicity. I”ll be doing that when I can get to my Fall decos. At least some of them. Your garland looks so festive, love colors on those leaves. It’s still pretty warm here also, had couple cooler days along with rain for past 4 days but it’s heating up again. Never know here what it will do. After S.D. we moved to Mt so we had all 4 seasons. I loved the snow except when I had to drive to Helena for work on 8-10% downgrades and no where to go except down if I went over. I learned a lot about myself in MT. So wish we’d stayed but we didn’t, duh. I was born in OH so had experienced all seasons. We moved to Tucson,. Az when I was 10 for my brother’s health. I lived in Tucson for 20 yrs. then moved to San Diego area, lived there for 21 yrs., then MT for 7 yrs., KY for 5 yrs. and we’ve been here in Grand Junction, CO area since end of Aug. 2004. I wish we’d gone back to MT when we left KY but we didn’t so have to make best of it. G.J. is quite expensive to live if you’re SS dependent seniors. One good thing is there’ s an excellent VA hospital in G.J. for my husband. Understand how you feel about the seasons. When fall came and winter we went up to Julian for the apple festival and the snow to play. Loved going up there. Have you ever been up there? Some of it burned in that bad fire few years ago but imagine things are rebuilt by now. That was same fire that burned some of El Cajon. I remember watching it on tv. Pretty scarey.. Were you in S.D. then? Great idea! I love how cheap and easy this is. Thanks for sharing! Awesome! I’ve never thought of sewing a garland. Thanks for the inspiration! I picked some of the dollar store leaves up last year and sprinkled them all around the house because we live in Florida (and there are no changing leaves here for sure!) but I never thought to sew them into a garland. I might have to stop back in and see if them have them again here!! It’s perfect! Great job Chelsea! Thanks for sharing such a beautiful post Chelsea. It’s fun to read about your forever town. I pinned your Fall garland. Thanks. Chelsea, this is so cute! I have some leaves at home I’ve been wondering what to do with them. Mind if I share this on my blog? I’ll link it back to you, of coarse. Certainly – thanks for sharing!